Although C.G. Jung (Figure 1) does not go to great lengths to explain the concept of a life-line, that he introduced the concept deserves additional commentary. Jung alluded to life-lines only a few times in his Collected Works, which was limited to his essay titled “The Structure of the Unconscious.” There he described, although briefly, the concept of the life-line. 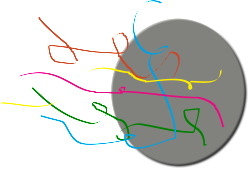 The life-line is an emergent concept that emerges in the psyche as a result of both individual and collective factors. As Jung suggested, a life-line is synthesized as a consequence of the individual attempting to coexist within a larger collective. “The life-line of an individual is the resultant of the individual and collective tendencies of the psychological process at a given moment” (1916, CW7, para. 515). Accordingly, the life-line traces the direction, a symbolic axis of advance, the individual energies of the personality are heading based on a range of factors. The concept of a life-line makes little sense absent the idea of psychic energy. In this way, the life-line really is a manifestation of psychic energy in its four-fold nature: progressive, regressive, extraverted, and introverted. Jung alluded to this feature when he wrote: “The construction of “life-lines” reveals to consciousness the ever-changing direction of the currents of libido” (CW7, para. 500). Libido can be used interchangeably with psychic energy. Given its fourfold nature, the life-line is rarely a linear process but proceeds and regresses over time. Jung went so far as to cite Friedrich Nietzsche when describing the non-linear tendency of the life-line: “All truth is crooked.” Jung further suggested that life-lines “are never general principles or universally accepted ideals, but points of view and attitudes that have a provisional value” (CW7, para. 501). Jung seems to mean that because of their ever changing nature, the life-line of an individual rarely, if ever, adheres to a universal value or idea, but instead evolves in lockstep with the development of consciousness. One could also say that a life-line constitutes a snapshot in time of the state of one’s libido, whether it is directed inward or outward or is progressing or regressing—it is constantly moving from one energy state to another just like any system. The life-line could be viewed as a fishing bob that dips up and down on the surface of the sea depending on weather, temperature, and current conditions. In fact, it would not at all be inaccurate to compare such a picture with the relationship between the individual (fishing bob) and collective (ocean). What matters most is the level of consciousness invested in the ego. 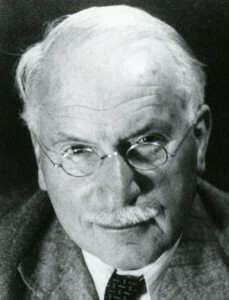 Only then can the individual successfully navigate his or her own life-line and discern the direction of the life-line at any given moment: Jung added: “Without this his conscious mind will not be able to follow the currents of libido and consciously sustain the individuality he has achieved. A patient who has had any serious neurosis needs to be equipped in this way if he is to persevere in his cure” (CW7, para. 501). 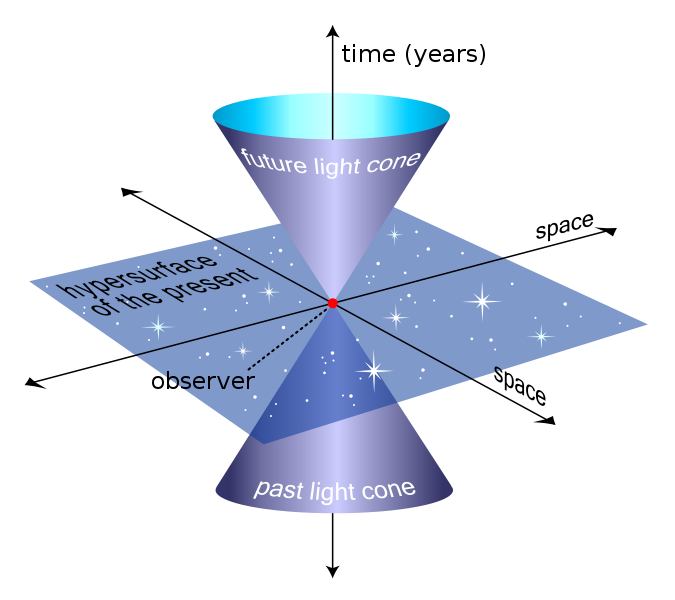 Lastly, Jung seems to have borrowed life-line from a concept in physics: the world-line (Figure 2) or may have anticipated it. 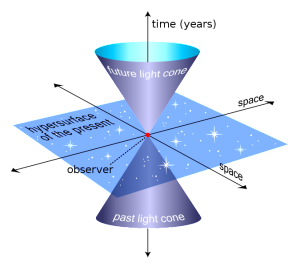 A world-line is the path of an object in four dimensional space whereas a life-line is the direction of libido within the personality. It is difficult not to discern the parallels. This makes a great deal of sense for one of Jung’s chief aims with his psychology was to create a weltanschauung that could bring closer together both psychology and physics. Jung, C.G. (1916). The structure of the unconscious. In H. Read, M. Fordham, G. Adler & W. McGuire (Eds. ), The collected works of C.G. Jung (R. F. C. Hull, Trans.) (2nd ed., Vol. 7). Princeton, NJ: Princeton University Press.